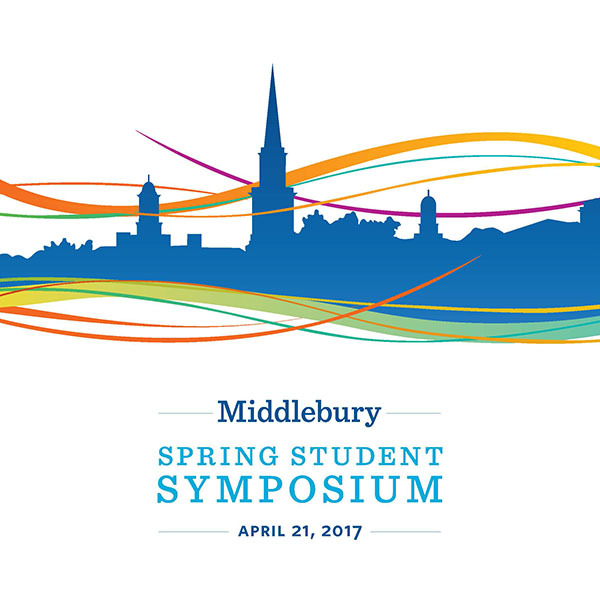 Join us for our 11th year of celebrating the academic and creative endeavors of Middlebury students! The 2017 Spring Student Symposium will take place all day Friday, April 21 in McCardell Bicentennial Hall with presentations of student work across the disciplines. We invite students from all four years and all departments and programs to participate. If you have done research in a class, independently, or through an internship; if you would like to share the experience of producing a creative work; if you have a project to present in a poster or oral format, please apply to present your academic work! The application deadline is Thursday, March 2, 2017. Students: Your application must include a project description (200 words) that has been approved by your faculty or staff sponsor. Faculty and Staff: Please encourage your students to apply. Both individual and class presentations are welcome. We look forward to seeing you all at the Symposium!